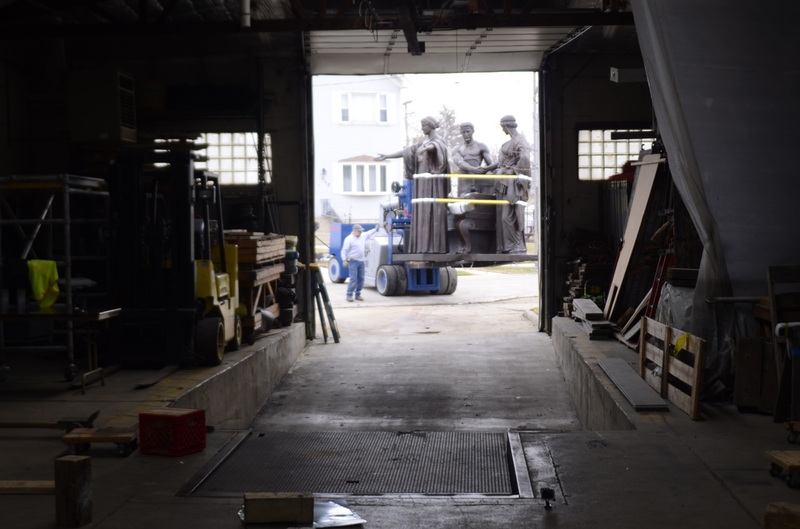 Facility - Conservation of Sculpture and Objects Studio, Inc.
We can treat any size object that can fit into our 13,000 square foot facility. Our three loading docks can accommodate any size vehicle. CSOS owns and operates a variety of lifting and moving equipment, including gantries, forklifts, and flatbed trailers to help you with transporting your objects, monuments, and architectural elements. The studio has a burglar alarm and fire detection systems as well as a video surveillance system. Our spacious studio allows us to conserve a multiple large objects at the same time as well as a number of smaller artifacts. One room is specifically designed and dedicated for the treatment of small valuable objects that require strict temperature and humidity control.